My parents were dishonest people. If it was my birthday, I knew my mother took me to the K-Mart and she stole my toy. She’d put it in the shopping cart and we’d walk out. I was raised with that. If I gain support, the support doesn’t seem to mean anything. It’s not like anyone really cares about me. I’ve never been a popular person, but it doesn’t matter. I have everything in my life that I want. I’m not a walking publicity stunt. I’m not an anarchist, or bitter. I’m not trying to be subversive. I just try to remain unguarded, unprotected by fear, and agents and publicists, and I feel comfortable that way. I’m sort of like a maniac, and I can’t get out of it. I’m so in love with the United States. Not as a patriot. I’m in love with America like it’s my first girlfriend. The geography, the people, the smell, the touch, the taste, the gas stations. I’m madly in love with America. I would be delighted to show my film in the Viennale. I do not offer press kits. I do not offer stills. I do not offer screeners. I do not offer DVD’s. I do not offer posters. I require a first-class flight to bring the print however I do not offer any photo ops or press exchange in any way. My fee for showing my film is $35,000 dollars US. I stopped painting in 1990 at the peak of my success just to deny people my beautiful paintings, and I did it out of spite. I never wanted to be an actor. I never want to be an actor. I want to be a movie star. The whole idea of having to act is too gruesome. It’s too ambitious for me. I heard my mother talking badly of me to people who were talking badly of me in her salon. That’s probably the thing that I’m most sensitive of in all my friendships and my relationships. I just… I just can’t take that. I’m comfortable with enemies, but I can’t take it from friends. I drive out to this quail farm, where I get a lot of these incredible quail eggs, which I eat all day long. And I eat a lot of superfoods like goji, cacao and chia seeds, things like that. And I like unpasteurised milk of the goat and the sheep. They send it once a week from Pennsylvania, from the Amish farms, and I get it in Los Angeles. I don’t drink any coffee or take any drugs and I don’t smoke cigarettes and I don’t eat sugar and I don’t take any medicine at all. I eat a lot of fish, vegetables, and I stay away from starches. I do not want my new works to be generated in a market or audience of any kind. I didn’t want to lose my subjectivity and my objectivity about my work. I am available to all women – all women who can afford me, that is. I don’t trust or love anyone. Because people are so creepy. Creepy creepy creeps. Creeping around. Creeping here and creeping there. Creeping everywhere. I constantly try to reinvent my sensibilities and my ideas. I enjoy some of the satisfaction that I get when I feel good about what I’ve done. But the process is quite lonely and quite painful. I’m sorry I’m not gay or Jewish, so I don’t have a special interest group of journalists that support me. I never apologized for anything in my life. The only thing I’m sorry about is putting a curse on Roger Ebert’s colon. If a fat pig like Roger Ebert doesn’t like my movie, then I’m sorry for him. 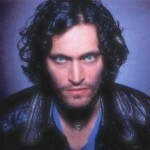 Vincent Gallo is an American film director, actor and musician. Though he has had minor roles in mainstream films such as Goodfellas, he is most associated with independent movies, including Buffalo '66, which he wrote, directed, scored and starred in; The Brown Bunny, which he also wrote, directed, produced, starred in and photographed; Arizona Dream; The Funeral; and Palookaville.